There are many logistics to consider when deciding to buy a new home. Some owners might want a bigger yard, more bedrooms, a larger kitchen or a dining room for entertaining on holidays. Others might be concerned about their new neighborhood’s crime rate or transitioning to a new school district. When showing homes throughout the Pike and Wayne County school districts I’m aware this means that some buyers may not know where to start in the process of switching schools. Adapting to a new school environment can be stressful for a parent but even more so for a child. The end goal is for your child to be excited about your move to a new area and not nervous or even worse, resentful. Here are a few tips I put together to help with this transition. Find resources to review the school district your child is going to be entering. Learn more about the individual schools in Pike and Wayne counties by looking at online resources made for parents moving to those districts. Check out former student reviews as well as statewide rankings and ratings for the districts of Wayne county ( Wayne Highlands, Western Wayne ,Forest City Regional) and Pike County (Delaware Valley, Wallenpaupack). You want to be well educated on the style and grade of education you child will be receiving. Take the time to get to know your new neighbors and community! Nothing makes a move more tolerable for your child quite like reaching out to your neighbors and new community. It allows you the change to introduce yourself to your neighbors and makes plans for the neighborhood kids to play together. If you’ve moved during a popular time like the summer see if you can’t find families in a similar situation with children who are also joining the same school. Make (or buy) some baked goods to give your new neighbors, invite them over for a get-to-know-you dinner or bbq. A friendly, well cared for neighbor can be a lifelong friend, the same goes for their children and yours. Make a concise list of objectives that can help you transition your children out of their old district and into the new. 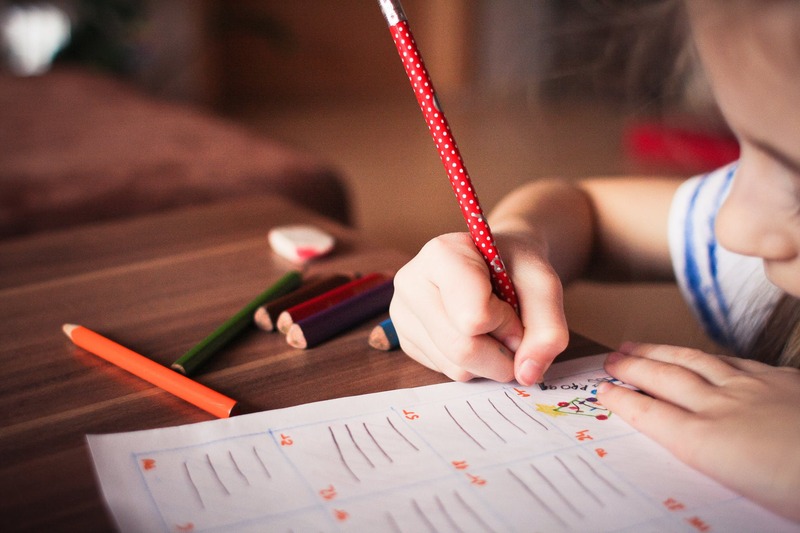 Some things to make your process easier can include getting a portfolio of your child’s work from their old school, obtain the appropriate records for transferring your child, inquiring about any school uniform needs. If your child is dreading the thought of leaving their friends then don’t let them lose connection! With today’s modern tech and with apps available at their fingertips allow your kids to keep in contact with their old friends. If your children are smartphone carrier remind them to text their friends (outside of class) to see how their first day/week is going. Yes, they might roll their eyes because they’re likely already Instagram DMing and Snapchatting about how awful their parents are for making them move but...when they’re adults they’ll see that mom and dad cared about how they were adjusting without their old friends. Keeping that connection alive will allow them to not feel so alone in a big new school. Settle into the new school the right way by connecting with your children at the end of the school day and seeing how things are going during their first few days. You can also make an appointment with your child’s principal or teacher to see how your kid is fairing in a new environment. A lot of parents might be worried about being overbearing or overprotective but hey, they’re your kids! It’s your job to love (and embarrass) them. There’s even the possibility of getting permission to check on your little one in person during the first few weeks of school. Seeing the familiar faces of mom or dad during the first fews weeks would be very reassuring to a young kid who feels like an outsider. After School activities could be the gateway to your children creating new and lasting bonds with their peers. The Wallenpaupack Area School District has some delightfully interesting after school groups like Forensics, Literary Magazine, Jazz Band and Web Design team. More can be viewed here. If you’re becoming a Wayne County resident take a look at the Pop Up Club which offers a wide variety of activities for West Highlands kids including robotics and pizza making. You can also look into your local Boy and Girl Scout groups as well as 4H clubs. Find weekend activities to entertain your family. For those outdoor loving families there are many different spots available. One example of a great weekend adventure is taking a trip to the renowned Lake Wallenpaupack for boating, kayaking, camping, fishing, jet skiing and paddleboarding. It’s such a great spot that its been deemed number 4 in the top 14 best lakes to visit in Pennsylvania. Use apps and social media to find people in your neighborhood and create a new social circle. Check Facebook to connect with the pages of your local school districts. You’ll get the latest announcements about snow delay, after school concerts and schedule break dates.. Here are some quick links so you can hit the follow button: Wayne Highland School District, Western Wayne School District, Forest City Regional School District, Delaware Valley School District, Wallenpaupack School District. You can also download the App Nextdoor which is a “private social network for your neighborhood”. It helps you find and interact with your fellow neighbors while learning about community events, asking and answering question and even allows you to post items for sale. Finding the right home can be a long and difficult challenge with many contributing factors. It takes time, energy and a realtor that works with you as a team member to make sure you sign off on the right decision. Home buying is a process that should be handled with care and thorough research. Allow this little list to be a tiny guide in the steps of moving in and creating a beautiful life in your new home.